Pure virgin wool fleece. Absorbs twenty times more moisture than synthetics and allows air circulation for warmth in winter and coolness in summer. Natural treatment for decubitus prevention. Approximately 3 x 2.5 feet. How do you wash the sheepskin pad. Instructions for how to was the pad should be included in your order. If not, we recommend contacting the manufacturer in order to have them send you one. 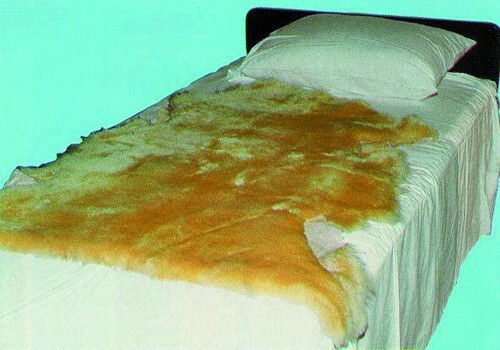 Thanks to Sheepskin Pad. My father is on bed rest and I bought him this pad for his comfort and protection from decubitus ulcers. 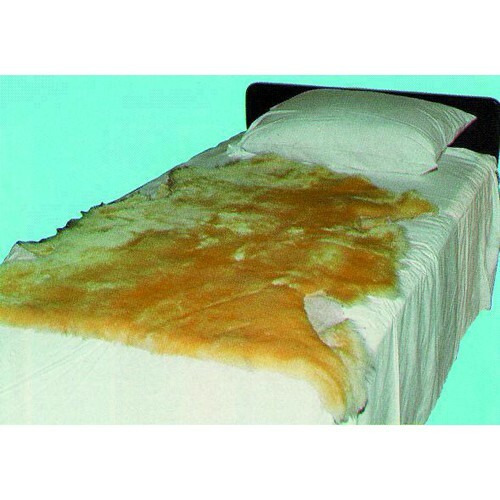 This provides great comfort and absorbs moisture properly.